Many factors such as filter type, size of equipment, and pets in the home can influence how frequently your furnace filter needs to be cleaned or changed. Dirty filters reduce air flow causing the system to work harder. Changing your air filter every 30-45 days is a good rule of thumb to help maximize air flow and efficiency. Normal cooling settings range from 70-80 degrees, while normal heating settings range from 60-75 degrees, depending on what is most comfortable for you and your family. You should always set your thermostat to the highest comfortable setting in the summer, and the lowest comfortable setting in the winter. On average, one degree of temperature change is equal to an approximate 10% energy savings. The HVAC industry is innovative and dynamic, making it difficult for the average consumer to stay up-to-date. Today’s high-efficiency heating and cooling systems can greatly reduce energy usage and operating costs. SEER, AFUE, and HSPF are all measures of energy efficiency. When shopping for a new furnace, look for high Annual Fuel Utilization Efficiency (AFUE) ratings. The minimum rating in the U.S. is 78% AFUE, but there are ENERGY STAR® models available that exceed 90% AFUE. For air conditioners, look for the highest Seasonal Energy Efficiency Ratio (SEER). While the current minimum is 13, ENERGY STAR® models are 14.5 SEER or more. HSPF (Heating Seasonal Performance Factor) is the measurement used to guage the efficiency of a heat pump. Note that its cooling efficiency is measured by its SEER. Heat pumps manufactured after 2005 have a minimum HSPF requirement of 7.7, but the most efficient have an HSPF of 10. For a FREE estimate, contact 217, Inc. today! Carbon Monoxide (CO) is a colorless, odorless, toxic gas. Exposure to low levels can cause flu-like sypmtoms such as headaches, dizziness, nausea and fatigue. Prolonged exposure to CO leads to accumulation in the bloodstream and chronic health issues. Because you can’t see, smell or taste this harmful gas, it can lead to death before you’re even aware of its presence in your home. Standard CO detectors found in retail and home improvement stores are designed to detect only high levels of carbon monoxide, which could have lasting effects on the health of you and your family. Low-level CO detectors offerd at 217, Inc. alert you when the slightest amount of gas is present. Many models also have battery back-up so that you’re protected even in a power outage. 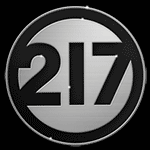 Start protecting your family and contact 217, Inc. today. Several factors such as low refrigerant levels, a dirty coil or air filter, or a defective motor or relay can cause your HVAC system to freeze. If you notice an icy build-up, shut the system off and allow it to thaw completely. Cleaning or changing your air filter and ensuring proper air-flow are things you can check before calling a certified technician to diagnose the problem. Should I zone my home? If there are rooms in your home that are too hot or too cold, 217, Inc. can troubleshoot the problem and offer a variety of solutions. Restricted airflow can be the result of a multitude of problems.Sometimes all that is needed is a simple adjustment. Other times your ductwork may need to be redesigned or a zoning system should be installed. A zoning system allows you to divide your home into specified areas, giving you added control and comfort. Rather than heating or cooling the entire home to the same temperature at the same time, you can control individual areas. If you think a zoned system is right for you, contact us today. Do I really need to have my dryer vent cleaned? Lint and debris can collect in a dryer vent creating potentially hazardous conditions such as carbon monoxide in the home and the risk of structural fires. Proper cleaning can reduce the threat of these hazards, extend the life of the dryer and make your dryer more efficient. Click here to learn more.